Six Main Reasons To Replace Your Siding. There are many reasons that people replace their siding. The number one reason is cosmetic. Other reasons includewh New construction is rarely a guarantee that your siding will satisfy your needs, because in most cases, builders use low grade materials resulting in problems in a few years. Are “maintenance-free” siding products really maintenance-free? In the world of siding, many of us are familiar with the outlandish sales talk and advertising claims that we hear. The fact is, some types of siding do require paint and others can guarantee you will never have to paint again, saving you a significant amount of money, time, and hassle. Obviously, you should choose siding that is virtually maintenance free. Bottom Line – Replacing your siding delivers large savings in maintenance costs and convenience because some siding doesn’t require the constant upkeep of painting. Ease of cleaning exposes another issue that most siding companies don’t tell you or want you to know about. The truth is that siding systems require cleaning, so these products are not completely maintenance free. Moreover, some siding products are harder to clean than others. Parts of our city are exposed to tough environmental conditions, such as areas of heavy industry and neighborhoods with a large number of trees. Airborne particles and/or tree sap can stick to your siding, which creates a need for frequent washing. Beware – the finish on many sidings will be destroyed if abrasive cleaners are used. Bottom Line – If cleaning is a primary factor in your decision, than choose a siding that can be washed with little effort and without damaging the finish. When you get right down to it new siding offers more than just saving money on your energy bills. Out of 1,000 people surveyed by the Consumer Energy Alliance, 67% of the respondents said that home COMFORT was most important. Most people want their home to be comfortable. Don’t you? On cold winter nights, do you avoid chairs near exterior walls? Do drafts chase you from room to room? When temperatures drop to the single digits, do you find comfort only under several layers of blankets? In the hot summer months, does your house seem like a sauna? Do you find yourself closing all of the blinds, turning off all of the lights and trying to keep your air conditioning unit from running 24/7? Bottom Line – No matter if you’re battling the freezing cold or the dog days of summer, you can be comfortable year round if you replace your siding with an insulated siding system. If you do get hail, it would be wise to upgrade your siding to one that is more hail resistant. Even though insurance will cover the cost of replacement, you will have the same problem — and another deductible — when the hail returns. You will benefit from purchasing a more durable siding, and paying the difference between what you get from the insurance claim and the cost of the replacement siding. The long-term benefit will not only save you money, it will also improve the appearance and energy-efficiency of your home. The increased resale value and energy savings will more than compensate for the upfront investment. Now, let’s talk about Storm Chasers. Storm Chasers typically arrive in a neighborhood after a severe storm. Even though you might not have noticeable damage, they will entice you with the promise of new siding and roofing for only the cost of your deductible. They will promise to handle the filing of your claims. They like to tell you that your area has been declared a “Disaster Area” (sometimes not necessarily true) and that your rates are going up anyway (not necessarily true again) so you might as well buy new siding. In some cases, it works out well for the homeowner, for many it doesn’t. Storm Chasers work for less profit due to the negotiation process with the insurance companies, and having to wait for their money. This results in lesser quality installation and materials. Commonly, problems arise soon and Storm Chasers depart along with their guarantees, and some homeowners find themselves with increased insurance rates. Bottom Line – With an insurance claim, deal with an established, reputable, local company. Take the opportunity to upgrade your siding because it will pay for itself. A recent national research study examined the cost of new siding in an average-sized home. They looked at how much the new siding would add to a home’s value if sold a year later. This 2013 research study conducted by Remodeling magazine (a Hanley-Wood, LLC trade publication) utilized professional opinions of over 200 real estate agents and determined that in the Columbus area, new siding will increase the value of the house and have a recovery of 82% of the price paid. The benefits start immediately when you replace your siding. New siding transforms a home from ordinary to outstanding, especially if you take advantage of the many trim options available. What’s more, new siding provides one of the best returns on investment of any home improvement project. Furthermore, you should never buy a siding system that is not backed by a full lifetime guarantee on the material. Read all guarantees carefully. What the large print gives, the fine print takes away. The Bottom Line – Carefully chosen, few investments can add more value to a home than new siding. New siding adds value from every perspective. But read the fine print of the guarantees carefully to make sure you are getting the best value for your home. 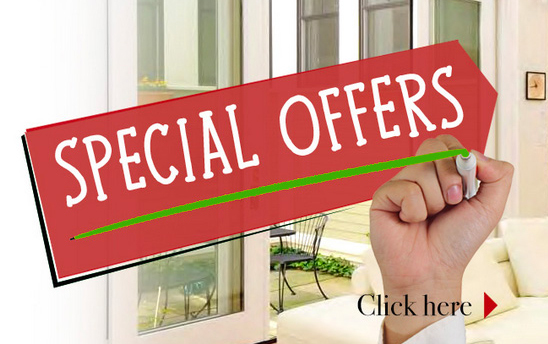 Interested in other home improvement options from The Freedom Windows? Contact us at 614-798-1133 today to update the look of your home by installing custom siding or complete our contact form to have one of our design consultants call you to set up your complimentary consultation.